How has your month been thus far? Have you accomplished all that you have set out to do? I am fairly pleased with how I have progressing with my May challenge. I have cleared out the external influences from several folders on my computer and my music files, I rid my magazine collection of books that I truly had no interest in, and lastly I have purged my jewelry of the odd, childish, and less glamorous accessories. 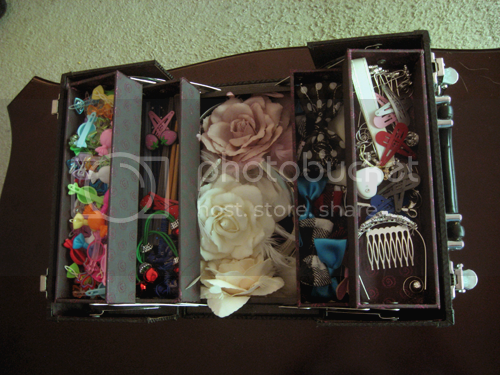 And this morning I finished the last of the spring cleaning in my hair accessory box. I do not remember if all of the unused items I have throw away were impulse buys or that I genuinely thought I would wear them. 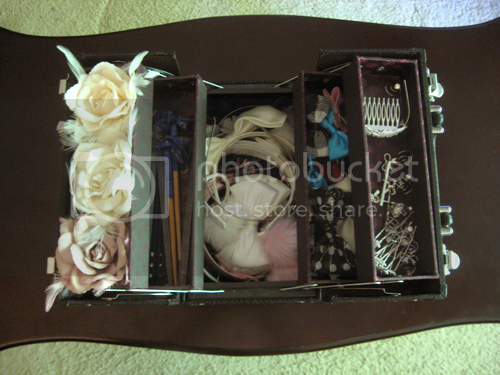 I don't usually go into the box unless I need something other than my standard headbow or a new ponytail holder. I would not say it's cluttered, but some of the sections had no organization. I decided to clean out the unused kiddie clips and finally, take out the odd phone strap, and put my headbands all in one place. All in all I am only getting rid of the clips and the jiggle ponytail holders. I do not know what had possessed me to buy these clips. I was never interested in the deco or OTT styles. 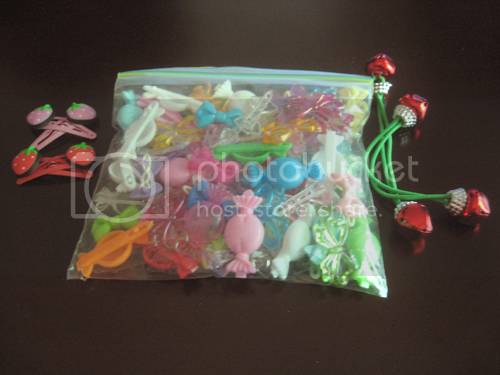 I think I will keep the clips for future use if I ever have a little girl. I just did something like this a few weeks ago! Got rid of bags of stuff that I knew I wouldn't be wearing again, etc. It cleared up quite a bit of my room and closet and putting together outfits is much easier! Those large flowers look very pretty, by the way! Lavenrose : Thank you. ❤ I have a weakness for cute hair accessories as well. I forgot where I bought these. I'm sure you could go to a local beauty supply store, claire's, or drugstore and they might have them.